Perfection is the only word to describe these Friday Flowers. 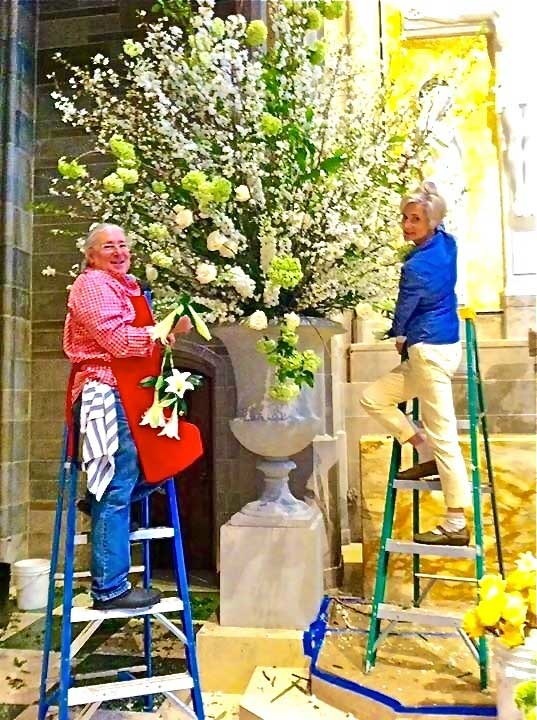 Florist and author John Grady Burns and his partner Jill Helmer along with my lovely friend Betsy Powell scored with the fantasy of flowers they arranged for Easter services at The Cathedral of Christ the King in Atlanta. 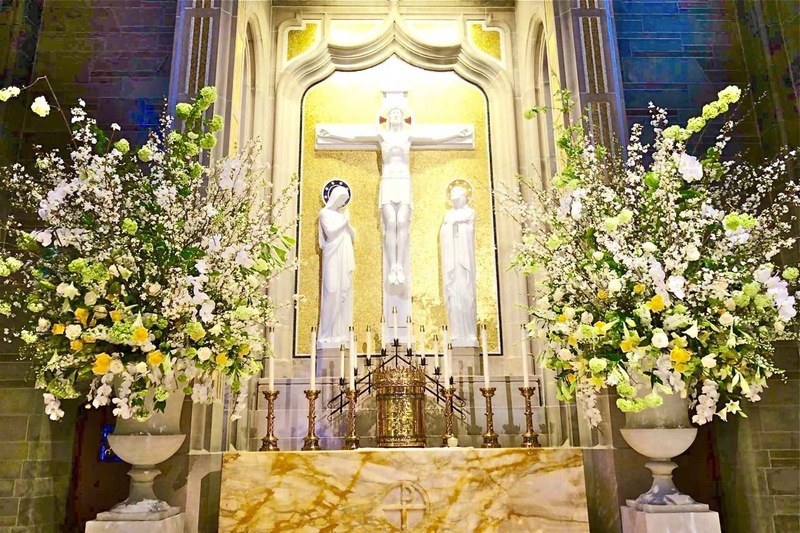 Nearly every shade of white and pale Spring green filled the classical urns and illuminated the beautiful cathedral—simply Perfection! Oh, and by the way, the viburnums used in the arrangements were all cut from Betsy’s amazing garden. Check back next week for information about a new give-a-way featuring author John Grady Burns. 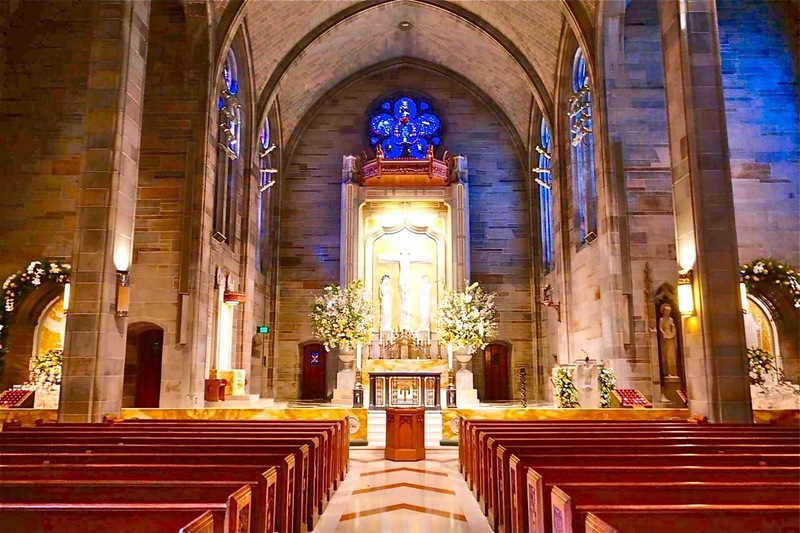 What a beautiful Church and gorgeous flowers! Loving that green in the kitchen! The Cathedral is beautiful and the flowers were amazing—such talent! 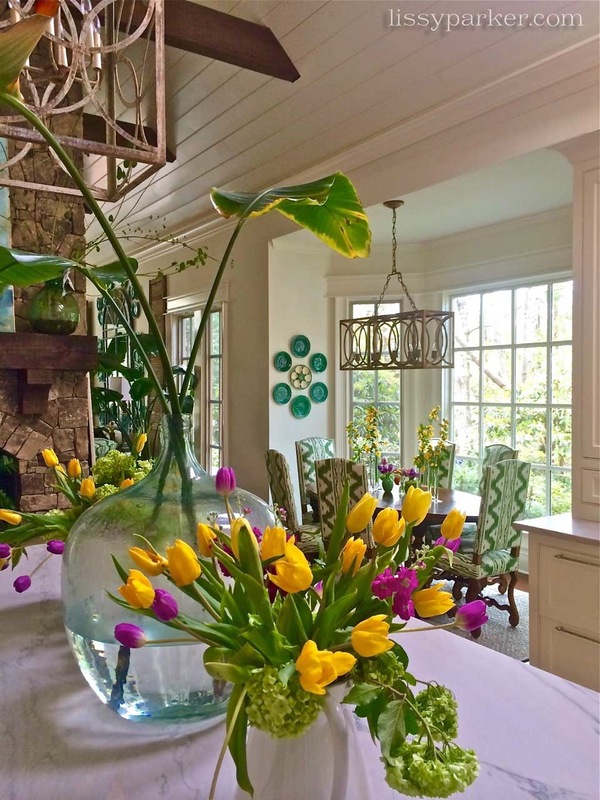 These arrangements just blew me away! More on John Grady Burns new book next week! 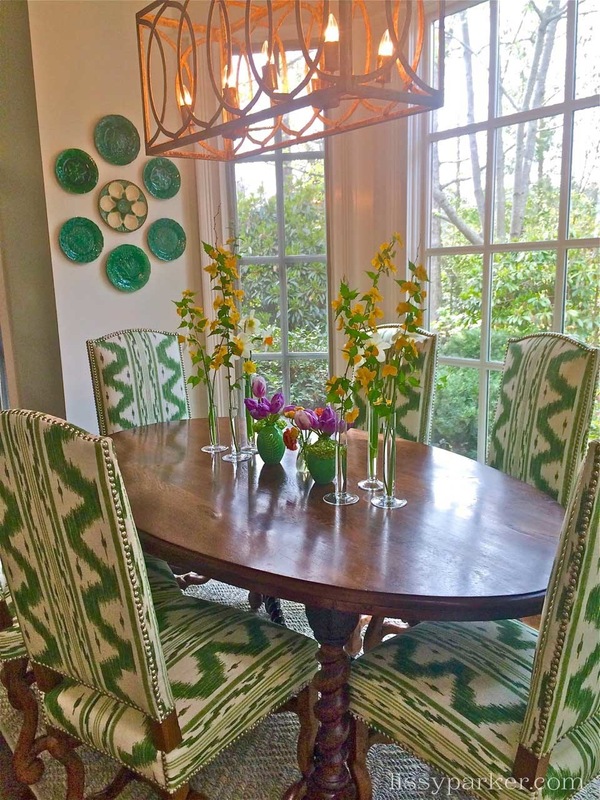 Hi Lissy – I’m interested in the fabric on Betsy’s chairs …. any idea who or what it is?? Absolutely love it! Lesa, I have sent her an email. Will get back to you soon. Thanks Lissy!! I really appreciate your help!! Hi Lissy – YEAH!!! I found the fabric…. Thought I would share the information in case any of your other readers would like the information. Thank you for all your help!! I am really enjoying your posts !!!! Thank you so very much for sharing Lesa-I never heard back for the owner. I have the best followers in the world!